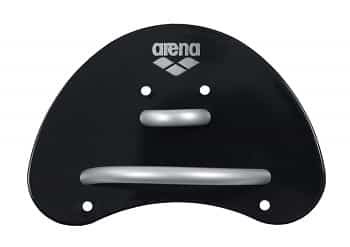 Finger tip paddles can help you boost your feel for the water and become stronger in the pool. Here are the benefits of these bad boys and our list of the best finger tip paddles for swimmers. Swimmers love their equipment and gear. From fins, to swim parachutes to bigger fins, we love rocking out a full mesh bag and emptying it out at the end of our lane like a yard sale. The gear helps us become stronger and faster in the water, but most importantly, it should be helping us become better swimmers. 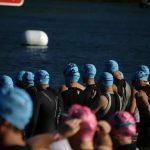 The stuff we haul to the pool in our swim bag should drive us towards becoming more efficient and technically-proficient athletes in the water. Finger-tip paddles check all the boxes when it comes to getting faster and improving feel for the water. 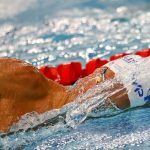 Here’s how finger tips can help improve your swimming. 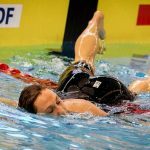 Swim paddles are a great way to develop strength and improve technique in the water. 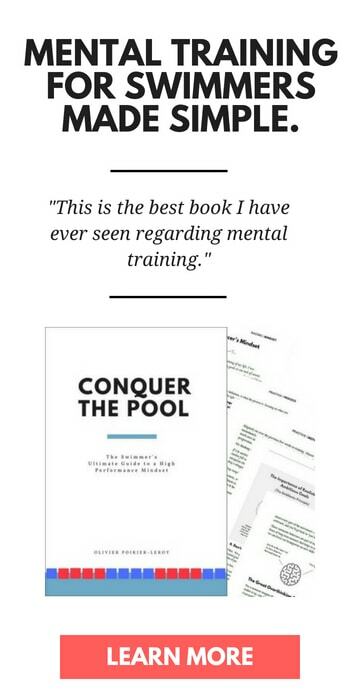 The added surface are helps you catch the “dead spots” in your swimming, acting like a magnifying glass for your stroke, exaggerating errors so that you can identify them. Wearing paddles are simply a lot of fun, as well—you get to swim at a faster speed, which everyone can get on board with. And then you got finger paddles. Much smaller, providing a significantly smaller surface area compared to your typical swim paddle, they are designed to help you become more attuned to the water. Your fingers decide where your hand goes. Paying extra attention to how your fingertips lead the pulling motion can be invaluable, especially if you catch yourself sliding around a lot during the beginning and middle of the pull. Finger-tip paddles will give you a sense of awareness of how your hand enters the water—Straight? Pitched? Thumb-first?—and how that critical first stage of the pull goes. Finger tips paddles give you some power work without slowing down your stroke rate too much. As a precocious youngster I always went for the biggest paddles I could find in the equipment bin. The reasoning was simple: bigger the paddle, faster I will go! But wearing paddles that are twice the size of your hands have limited benefit. The dinner-plates on your hand will send your stroke rate tumbling through the floor, training you to be slower. You want some power, but not so much that you are meandering and stumbling slowly through the water like a brontosaurus. Think power and speed, like a T-rex or velociraptor when it comes to paddle size selection. Finger tip paddles are clutch for all four strokes. The versatility of finger tip paddles is another big feature—they can be used across the full spectrum of strokes in the pool. If your hands are sweeping out too wide, the paddles will catch the water and flip. 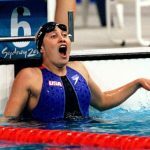 If you are swimming backstroke, and aren’t leading with the pinky, the paddle will dangle lifelessly off your fingers for the beginning of the pulling motion. Same goes for butterfly and freestyle. Proper hand entry is something we don’t think about very often, instead focusing on pulling with maximal effort. 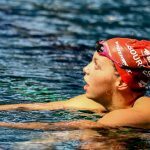 But the hand entry sets up everything that is to come, and finger paddles can help you dial in this aspect of your swimming across the strokes. They are easier on your shoulders and arms. 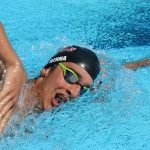 Swimmer’s shoulder is a real concern for chlorinated athletes, whether you are an age grouper, Olympian, or master’s swimmer. 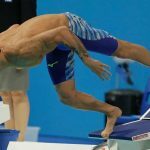 The injury is prevalent for a number of reasons, including muscle (and stroke) imbalances, over-use, and because swimming movements are not replicated anywhere else in our dryland life. With the added surface area comes added strain on your shoulders and arms (another reason to be realistic about how large a paddle you need). Finger tip paddles, because they are so small, present less of a risk of injury than your typical paddle. Finger tip paddles are produced by many of the top swim companies on the planet, with each paddle varying slightly in shape and color. Whatever finger tip paddles you end up choosing, introduce them mindfully into your training. In other words, start small, focus on nailing your hand entry and early vertical forearm, and steadily increase the resistance, imprinting killer technique and developing power at the same time. 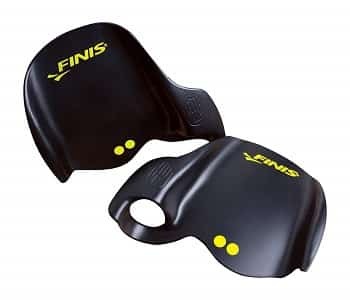 FINIS makes some awesome gear for swimmers, from the Tempo Trainer Pro to their popular swimmer’s snorkel. 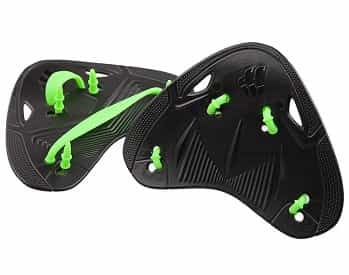 The Instinct paddles are similar to their agility paddles, which are to be worn without straps—the idea is that without them you are forced to keep proper hand and finger placement through your whole stroke. If not, the paddles will slip off mid-swim. Talk about instant feedback! Available in three different colors (green/black/pink), Arena’s finger paddles have two straps to keep the paddle secure. As you get more comfortable with them, consider taking off the lower strap to get more feedback on efficient hand placement and finger entry. 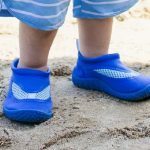 One of the smaller players in the competitive swimming gear space, Mad Wave nevertheless produces some high-end gear for competitive swimmers. Their Finger Pro Paddles have two rubber straps and a couple vents at the top of the paddle to give you a more natural flow of water between your fingers as you swim.